created at white light is refracted through ice crystals in the form of hexagonal plates. 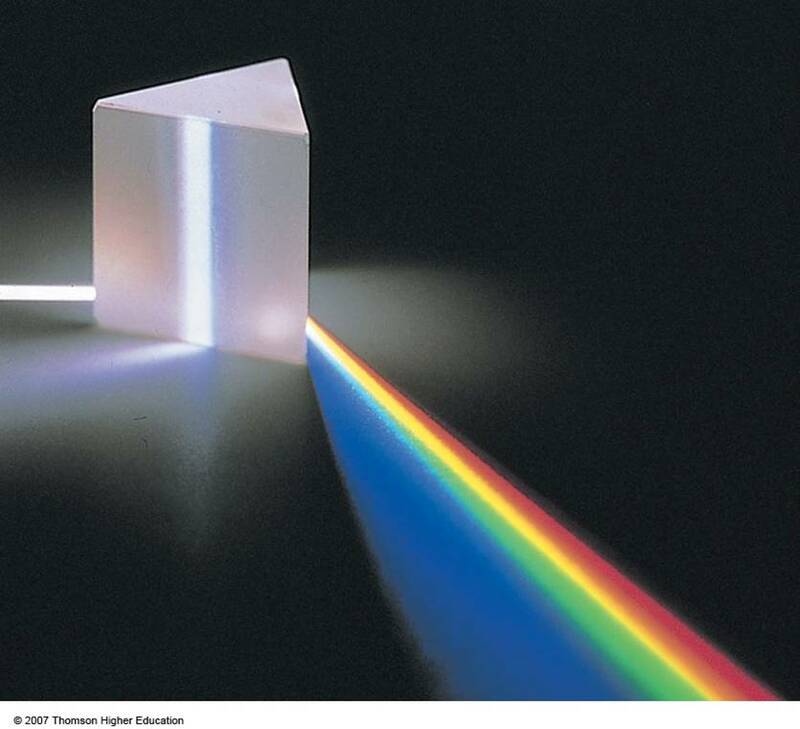 this is similar to the dispersion of white light as it passes through a prism. see pg. 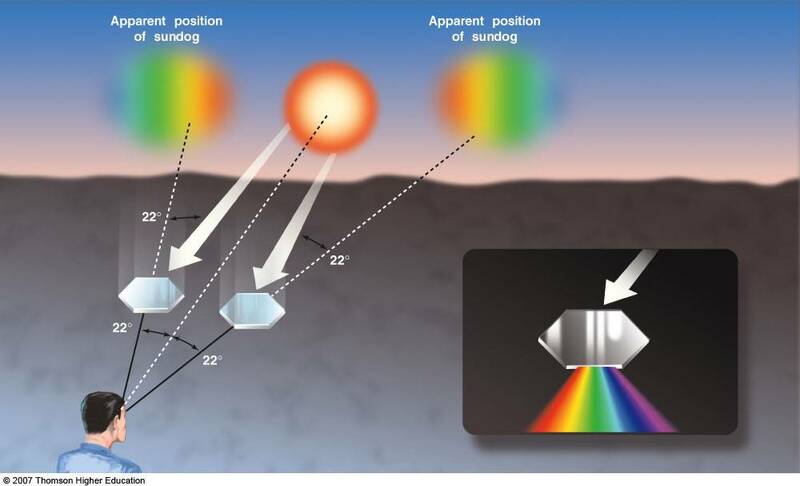 101, figure 4.22 for an example of what a sun dog looks like.